Secure Work Space lets users toggle between personal and corporate modes on their devices. 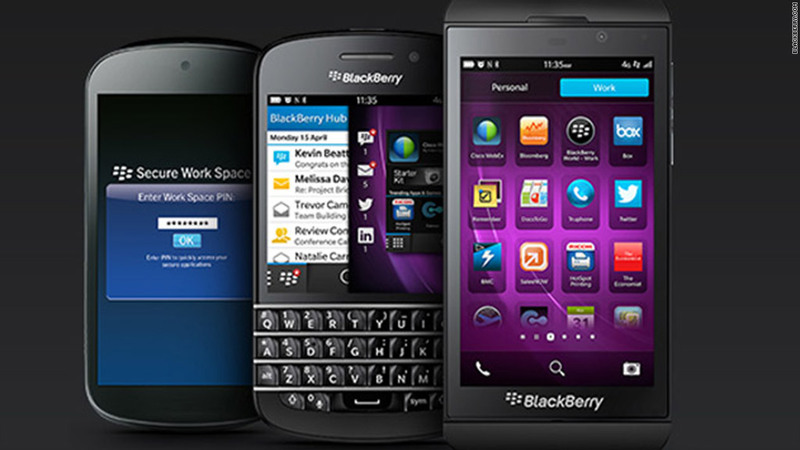 But as BlackBerry has declined, competitors like Apple (AAPL), Google (GOOG) and Microsoft (MSFT) have worked hard to improve their own security capabilities. Samsung launched its own "Knox" system for the new Galaxy S4, which works much like Secure Work Space. Still, there's room in the market for a trusted multi-platform solution -- an Oracle (ORCL) of mobile devices.